RUSH: We go to Nebraska. This is B.J. Welcome. Great to have you on the program. Hello. CALLER: Hi, Rush. Longtime listener. I had to call today because I heard you speaking yesterday about the superficial Americans worried about the prices of their avocados. Well, I’m calling you because, as you know, you’re the wizard behind the curtains pushing buttons for the White House. Remind the White House what a customs commissioner did a few years back when an American had been tortured to death in Mexico and the corrupt Mexican government would not help in the investigation, Willie von Raab. He didn’t shut down the border, but he ordered via a memo his guys and gals to search every car that came into the United States. So a 20-minute trip became an eight-hour trip into the United States. Six days later, the Mexican government did a 180 and gave us everything we needed in reference to that murder. So if you remind the White House of that, push that button, you’ll see some action, maybe. RUSH: Well, in fact since you bring that up out there, B.J., thank you. Grab audio sound bite number 26 here. 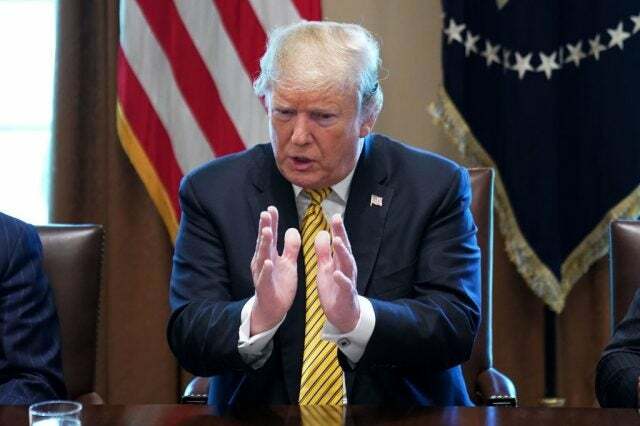 This the president today speaking with reporters in Washington about the border and Mexico. THE PRESIDENT: The last three days it hasn’t happened, since I said we’re closing the border. The only thing frankly better but less drastic than closing the border is to tariff the cars coming in and I will do it. You know I will do it. I don’t play games. I’ll do it. So we’re doing it to stop people. We’re going to give them a one-year warning and if the drugs don’t stop or largely stop we’re going to put tariffs on Mexico and products, in particular cars. And if that doesn’t stop the drugs, we close the border. 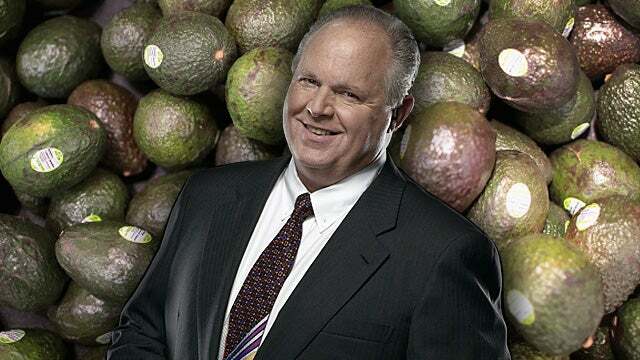 RUSH: So closing the border was something the president was gonna do this week. Now that’s changed and we’re gonna do tariffs and we’re gonna start harassing people driving in. We’re gonna give ’em a year to shape up or ship out, and then if they don’t doing that then we’re gonna do something drastic. So essentially a one-year warning to Mexico. So pretty much what B.J. here suggested. 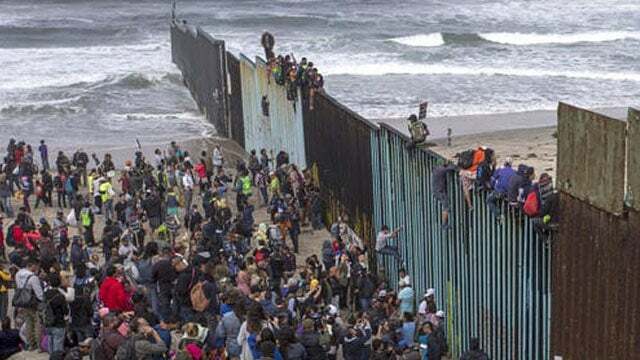 Just hassle everybody that is legally trying to get into the United States from Mexico, just border crossers coming in to work and then going back later in the day. We’re not talking about flat-out illegals. Just making it a pure hassle, and it has been done in the past. Everything has been done in the past. We’ve suspended immigration for 40 years, we’ve closed borders before, we’ve done everything. There is just a reluctance to do it now. Now, my emails are clamoring, people sending me emails clamoring for the latest avocado news. What is this about? Was there some threat yesterday that avocados were not be gonna easily importable? (interruption) If he shuts the border, then three weeks and no avocados. So? What happens then, like no guac? (interruption) Oh, yeah, no guacamole, no avocado. No avocado ice cream for Tom Brady. It might mean he would have to retire. Oh, yeah. Well, here’s the latest. This is from CBS Eyeball News: “Avocado Prices Surge Amid Fears Of Shortage If U.S.-Mexico Border Closes.” Wrong lesson. The lesson is not that we may not have avocados. See, this is why we never end up doing the right thing. We always look at what it’s gonna mean for us on the negative side. The lesson here would be for Mexico! It’s a big difference. If we look at this as what we’re gonna lose, “Oh, my God. We might lose avocado toast, no, we can’t do that!” Wrong way to look at it. “Hey, Mexico, look at the avocado market that’s gonna close to you if you don’t get your act together.” This is the kind of stuff that Trump is known for, famous for, Art of the Deal stuff. You don’t go into negotiations, “Our people will have a tough time with no avocados.” Wrong defensive posture to have, you know, gut it up. If you can’t deal without an avocado for a month or so then what is it worth anyway. For crying out loud. You telling me that we’re gonna imprison proper border policy to an avocado shortage? I’m telling you, folks, the way to look at this — I know, Snerdley’s looking at me, “You’re stepping in it here ’cause you do not understand the power of the vegan, vegetarian demand lobby.” Yes, I do. I totally do. People want what they want. And if Mexico has the avocados, then whatever it takes to get the avocado. We’ll come up with a substitute for a while. I’m serious. The attitude here is all wrong. If you’re gonna talk about a commodity like this that there will be either rapidly increasing prices for or a shortage of it, then the pain of this has to be impressed upon Mexico, not us. We have to be willing to go without our avocados for a while, happily so, if it means getting a handle on what’s going on at the border.